Once again, we are so grateful to Bloomberg for the team that helped at Bentley this week. 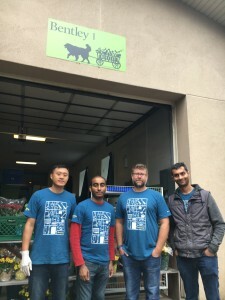 Their helping hands are so appreciated as each week they help us sort diverse volumes of healthy and fresh, perishable foods for distribution to our clientele families. Thank you, Bloomberg!